I am thrilled to be a stop on the book tour for The Fall by Bethan Griffin, hosted by Rockstar Book Tours! I have a interview for your reading pleasure, but be sure to check out the tour schedule below to read reviews, guest posts, and more! Don't forget to enter the giveaway at the end! She has spent her life fighting fate, and she thought she was succeeding. Until she woke up in a coffin. Ushers die young. Ushers are cursed. Ushers can never leave their house, a house that haunts and is haunted, a house that almost seems to have a mind of its own. Madeline’s life—revealed through short bursts of memory—has hinged around her desperate plan to escape, to save herself and her brother. Her only chance lies in destroying the house. In the end, can Madeline keep her own sanity and bring the house down? The Fall is a literary psychological thriller, reimagining Edgar Allan Poe’s classic The Fall of the House of Usher. Bethany Griffin is a high school English teacher who prides herself on attracting creative misfits to elective classes like Young Adult Literature, Creative Writing, and Speculative Literature. She is the author of HANDCUFFS, MASQUE OF THE RED DEATH, DANCE OF THE RED DEATH, GLITTER AND DOOM, and THE FALL. She lives with her family in Kentucky. 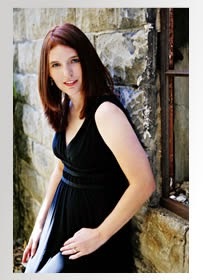 ​Welcome to Bookish, Bethany!​ I'm so excited to have you here with us today! After having devoured your Masque of the Red Death series, I was thrilled when I found out you were doing another Poe adaption. I have to admit that I haven't read The Fall of the House of Usher before so I know I'm in for a surprise! You have this wonderful knack for writing thrillingly creepy stories. Why did you decided to adapt The Fall of the House of Usher? What was the inspiration behind it - aside from the Poe story that is? The major inspiration for The Fall was to give Madeline Usher a voice. Up until now, she never had one, in fact some scholars thinks she didn’t even exist! When I first read The Fall of the House of Usher in middle school, the fact that she was buried alive stayed with me. And then later when we watched the movie, the part when she came out of her coffin…well that freaked me out even more. But as an author what I wanted was to delve into Madeline’s story. The fact that she is buried alive within her story was just one more incentive to write it because as an author I’m drawn to characters who are trapped. And no one is more trapped that Madeline Usher. Madeline is cursed. Her mother prefers her brother Roderick and does everything possible to protect him (Madeline, the older twin, tries to protect him, too). She spends her childhood lost and ignored within the decaying house of Usher. She isn’t clear on what’s normal—not in human interactions, not in family issues, and not in living arrangements. She’s ill, she’s a bit mad, but she’s also determined and brave and smart. I have to ask, do you have any plans to adapt more of Poe's stories? If so, which ones do you hope to rework for your readers? Not at this time. Right now I’m working on something else entirely. The Fall actually includes homages to several other Poe stories, but I don’t have another Poe story in the works right now! Having been previously published, does the awe of seeing your books on Amazon, Barnes & Noble, Goodreads, etc. wear off? 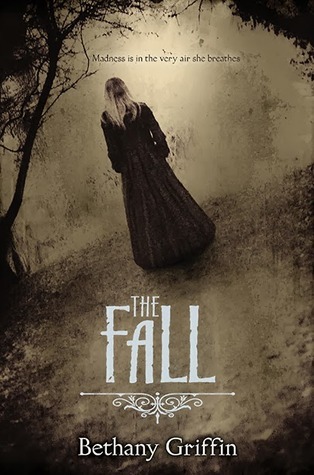 Also, of all my books I have a really deep connection to The Fall, and I’ve waited longest to see it reach publication, so it’s something of a dream come true for me. ​If you were magically transferred back in time and got to meet Edgar (you two would be on a first name basis), what would you talk about? Cats? I know he had a tortoise shell cat, and I also have a tortoiseshell cat…however cats probably aren’t the most interesting topic of conversation. I think I’d probably have to ask him some questions about The Fall of the House of Usher, some questions about the illness, and about Madeline, etc. I could impress him with the fact that I can recite the first 5 stanzas of the Raven, but I always get the tapping and rapping mixed up, so that might not be the best ice-breaker. To be honest I think I’d be extremely nervous during my hypothetical conversation with Poe. But I’d sure like to follow him around those last few nights and see what really happened/how he died. If I was transported back in time to the Dark Ages, I'd . . . avoid all contact with the plague. I know a little bit about plagues. I'm addicted to . . . the internet. But nothing useful, just wasting time. Also Pepsi. If The Fall had a theme song it would be . . . Plainsong by the Cure. The last book I bought was . . . Winterkill by Kate Boorman. My go-to Edgar Allan Poe story is . . . The Fall of the House of Usher. Thank you for taking time to answer my questions, Bethany! I cannot wait to delve into this book for myself. I've heard from a few sources that it is simply amazing. Be sure to check back on October 5 for my review!